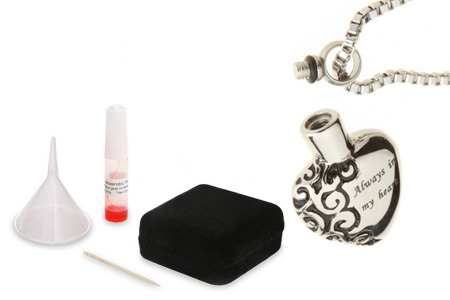 Chelsea Design 13 memorial necklace is a beautiful and discreet way to keep a token amount of ashes with you always. 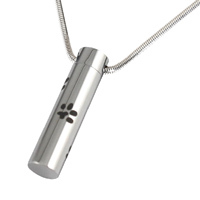 This wonderful piece of cremation jewellery holds a very small portion of cremation ashes in the neck of the charm. 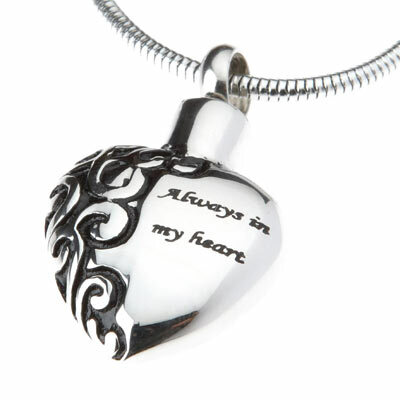 Heart shaped pendant urn decorated with a filigree design and the words "Always in my heart". 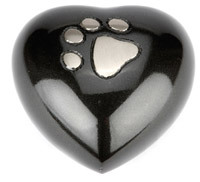 After the death of my dog I was looking for jewellery to remember her by. I came across this site and saw a beautiful selection. I chose this necklace because it was discreet and pretty. 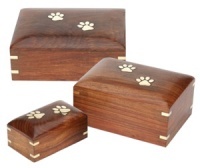 I have a small amount of her ashes inside so she will always be with me. 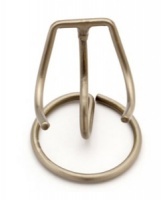 It is very good quality and looks great and I'm delighted with it. Very reasonably priced and prompt delivery. 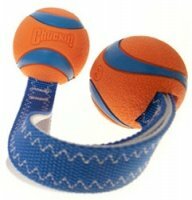 D for dog is a lovely friendly company offering many lovely keep sakes. I purchased the always in my heart love heart locket. 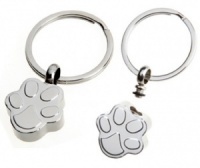 Its just the right size to always wear and a lovely way to remember my beloved dog Bertie. So comforting to always have a little part of him with me. The lady i called to make enquiries was so friendly and helpful. And totally understood my grief at loosing my best friend.